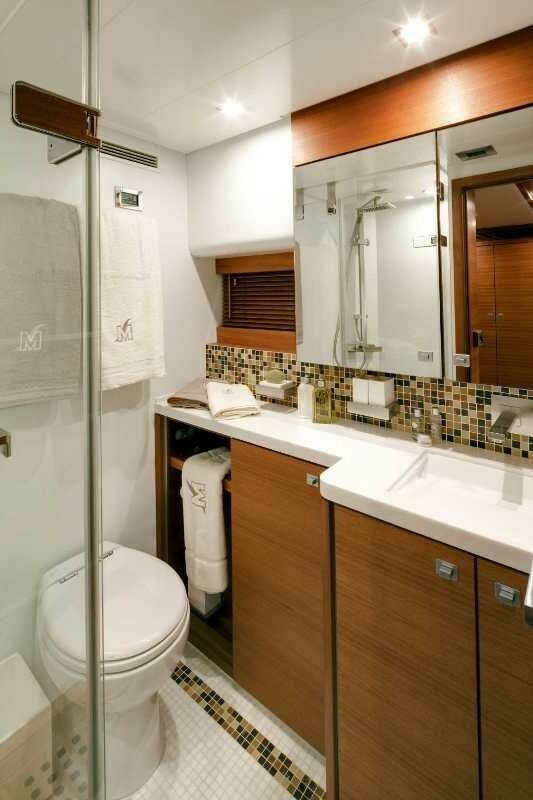 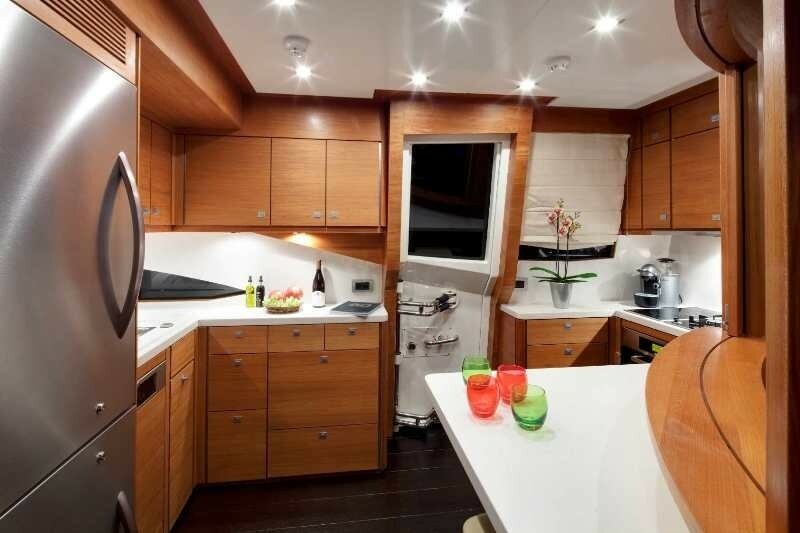 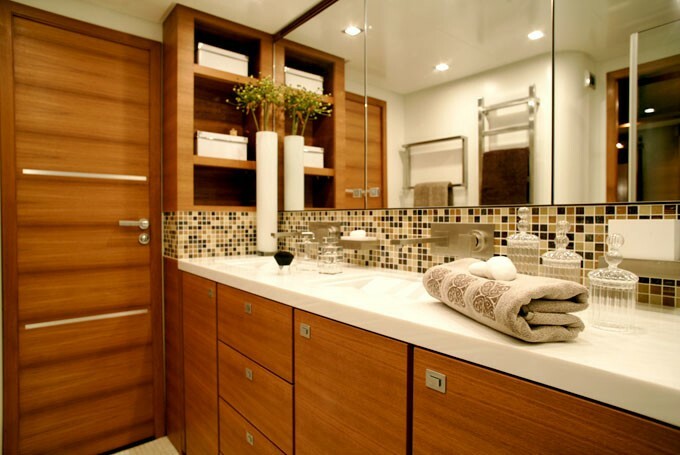 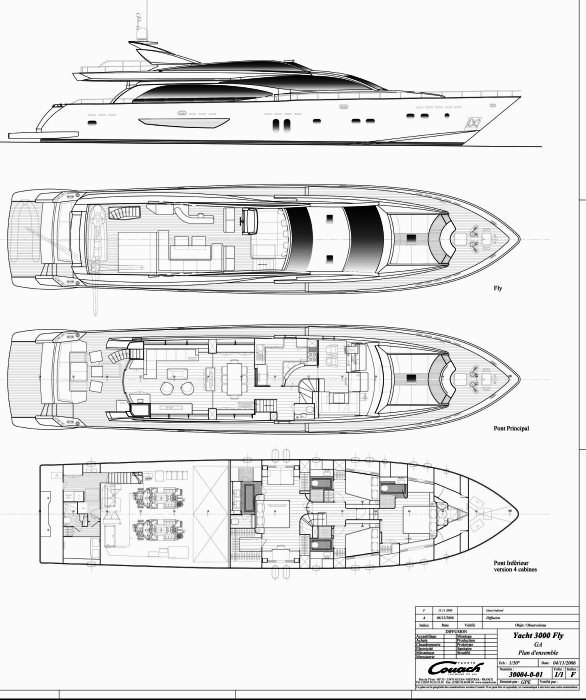 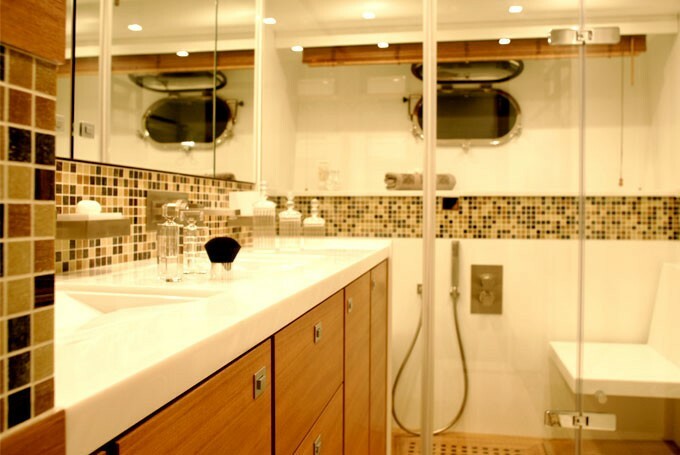 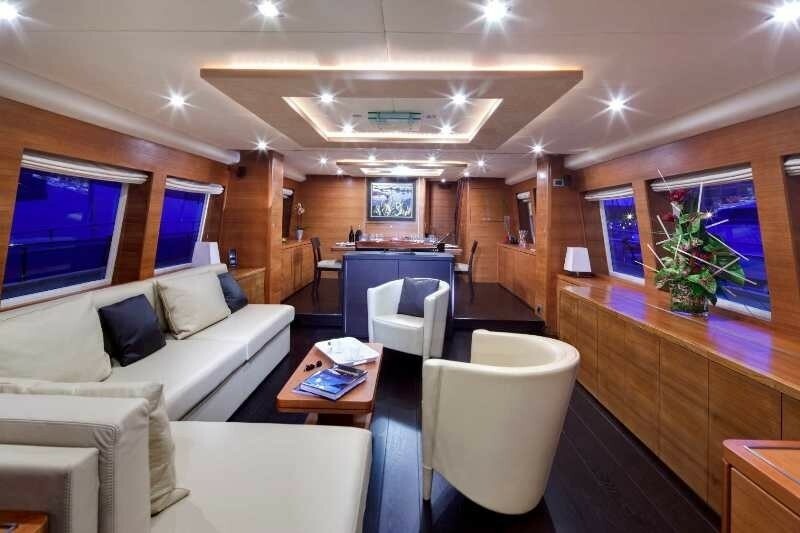 both for her marine quality and technology but she also offers a stylish and refined interior design, sound proofing and cruising comfort, even in rough seas. 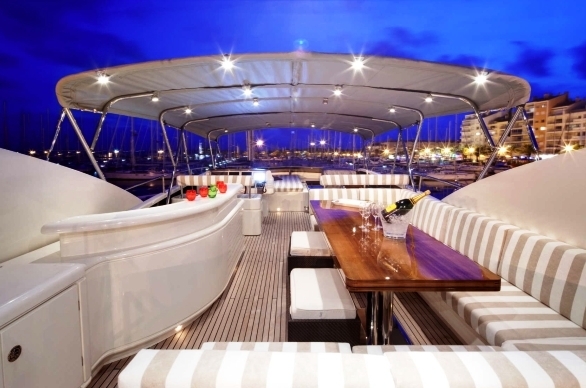 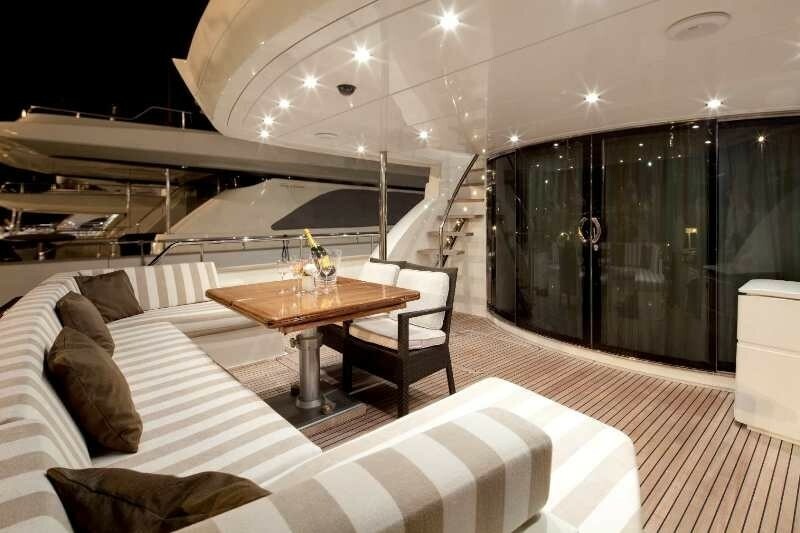 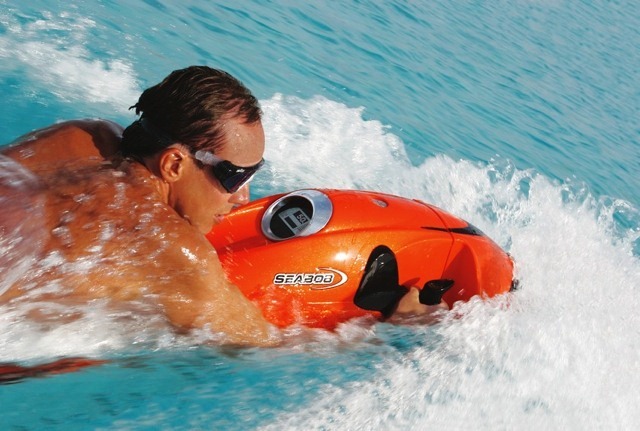 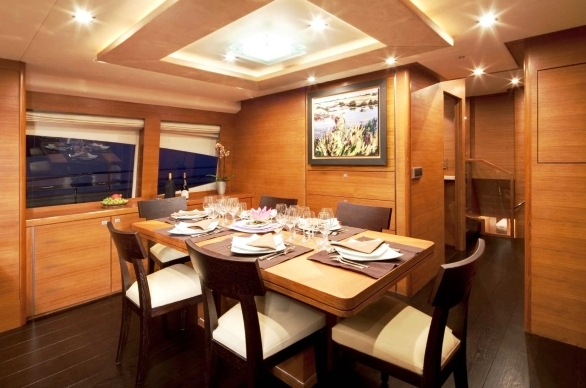 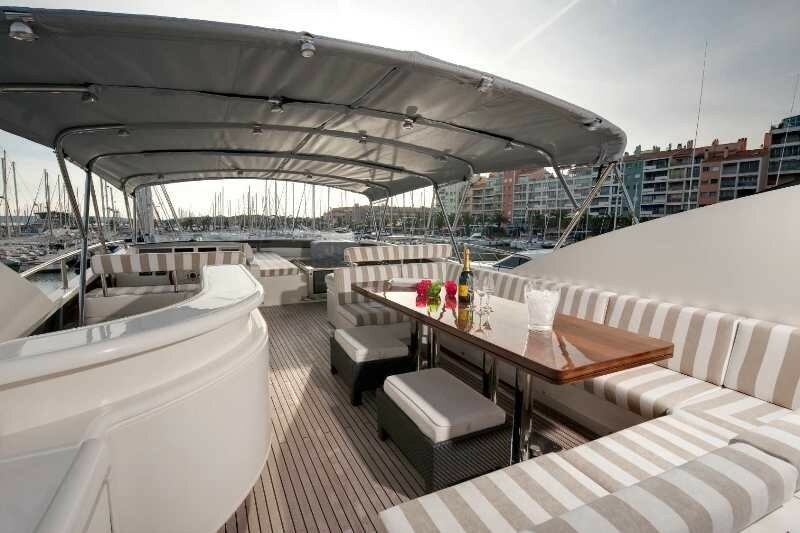 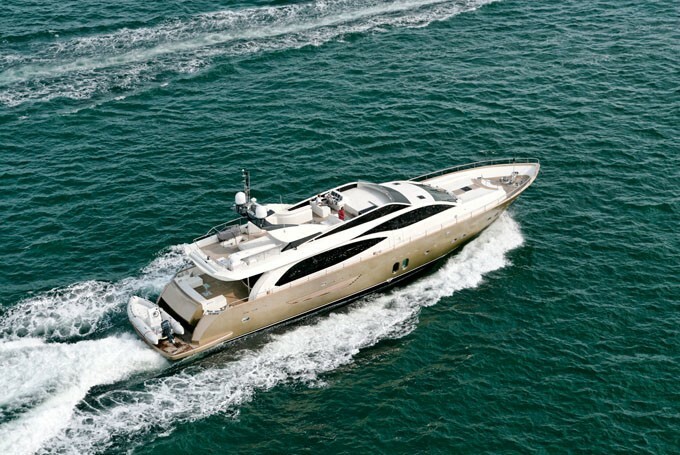 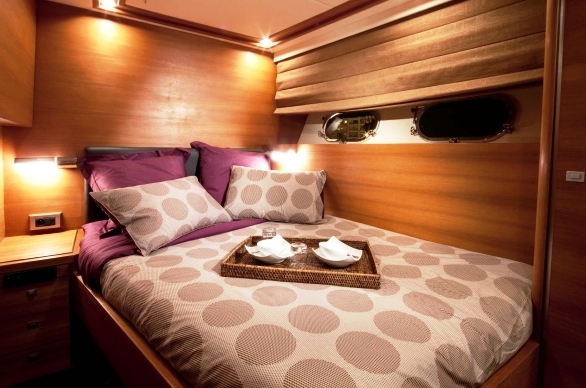 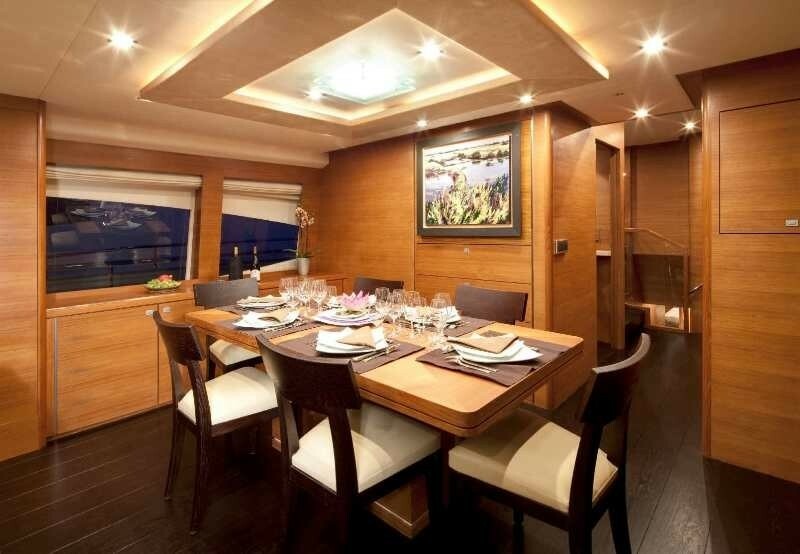 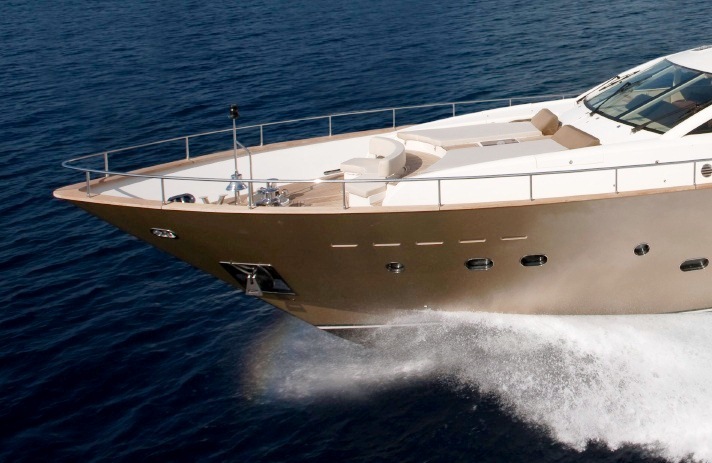 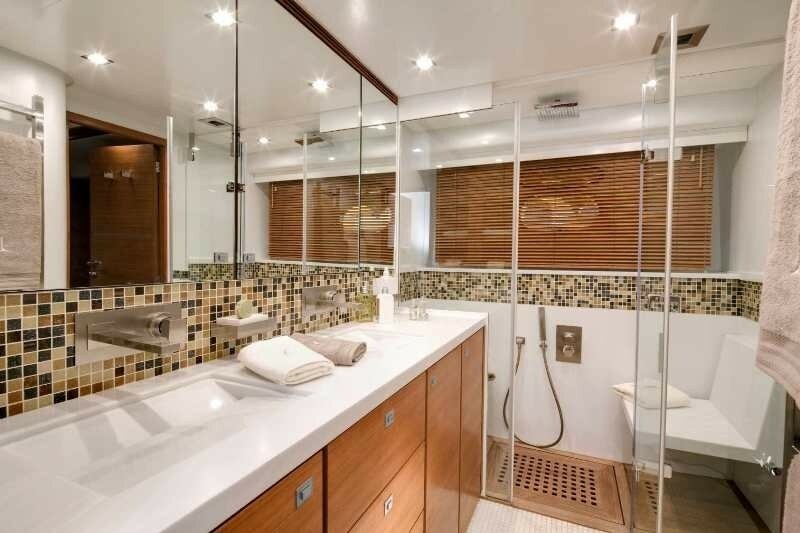 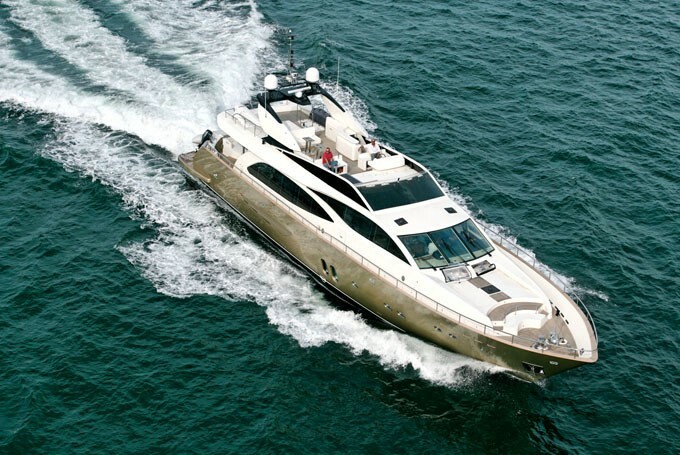 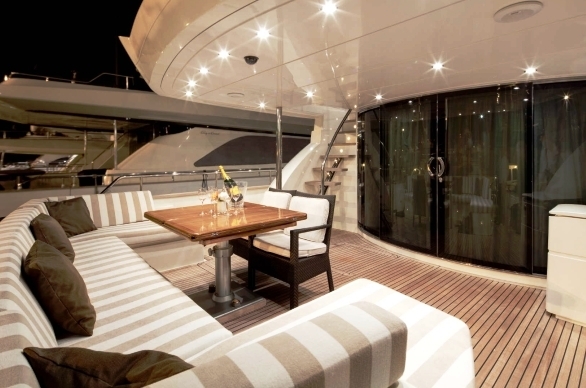 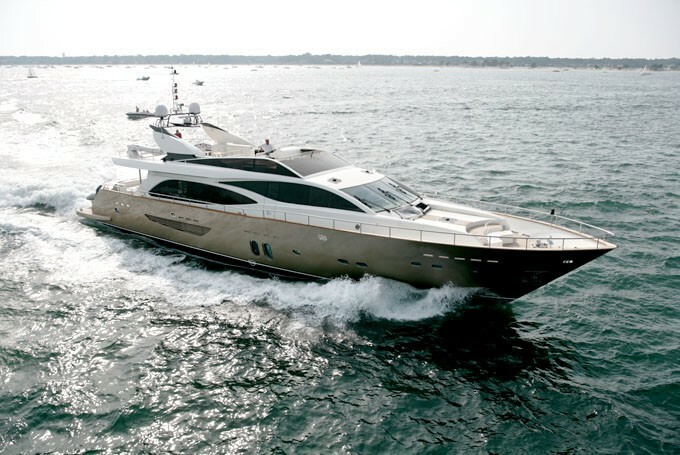 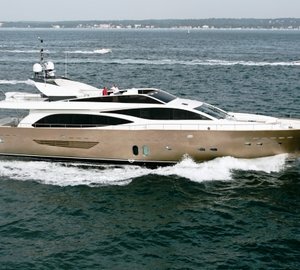 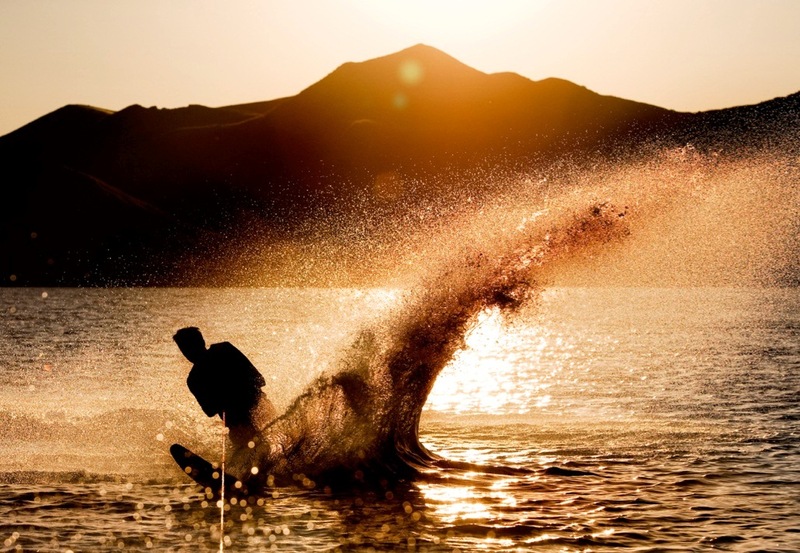 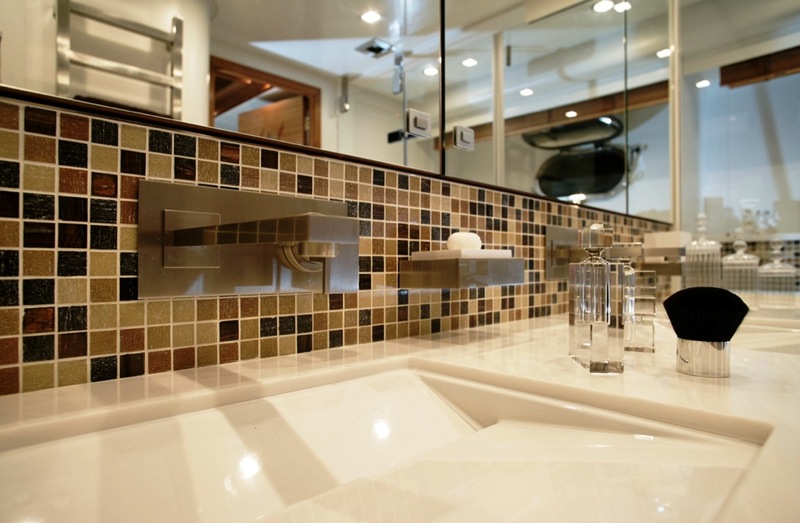 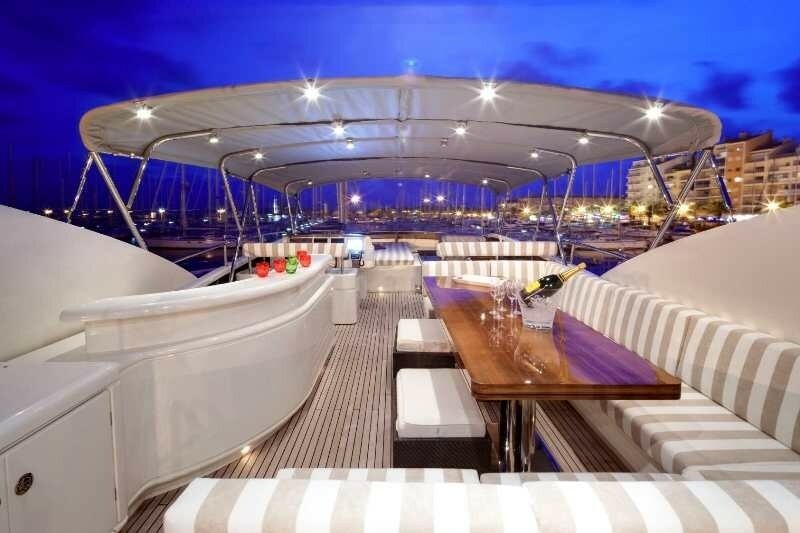 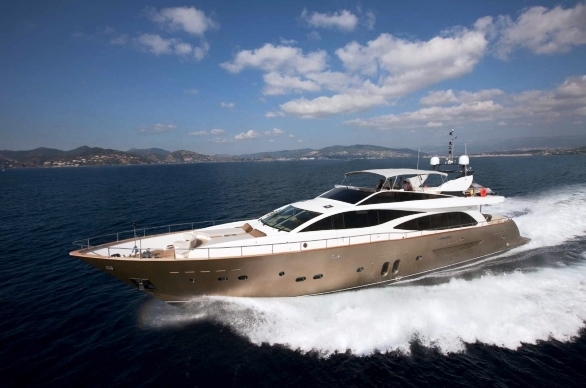 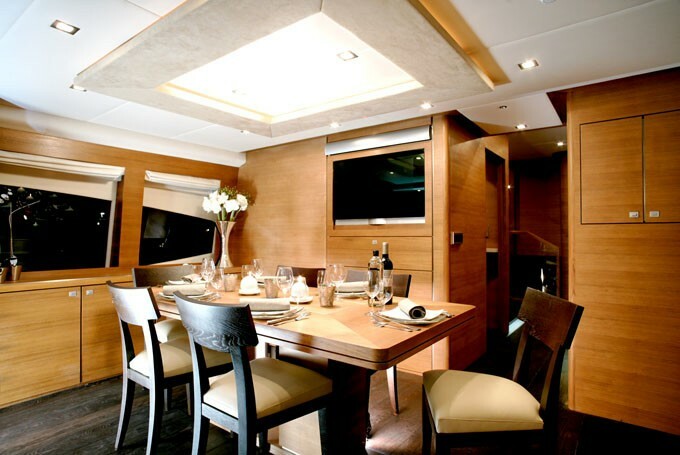 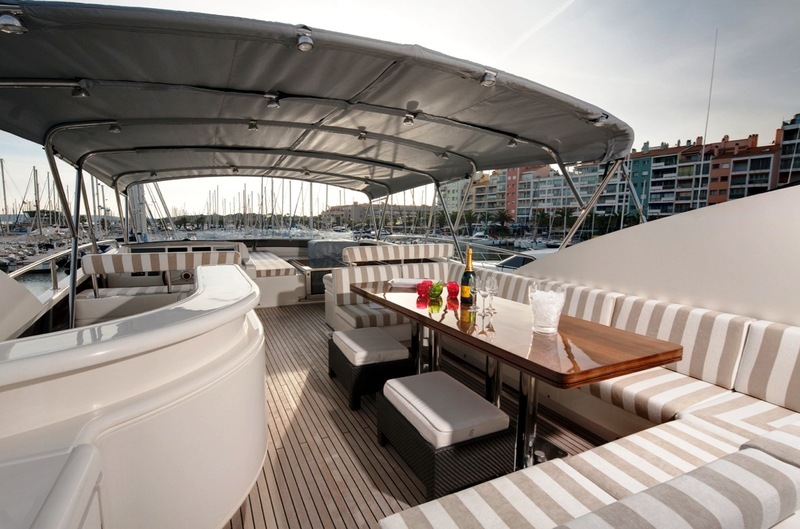 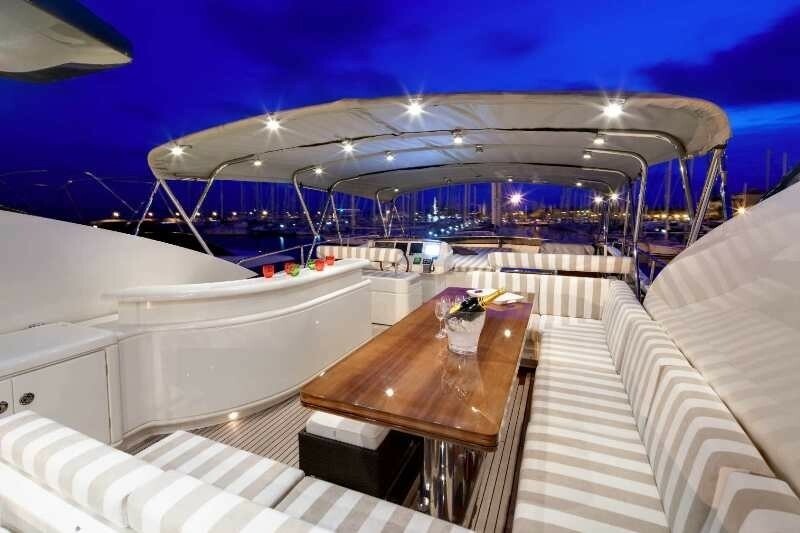 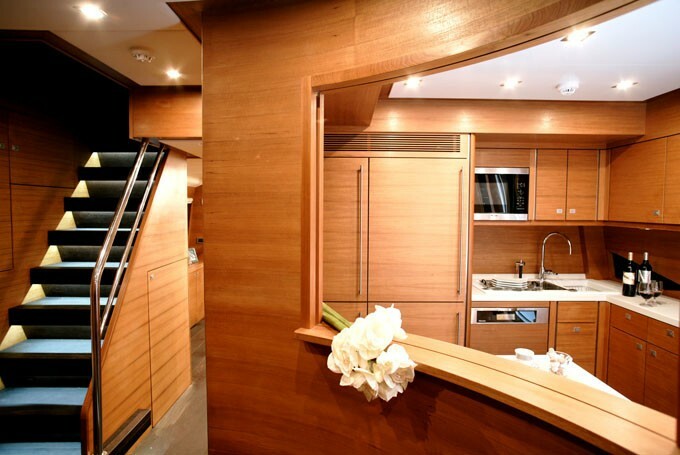 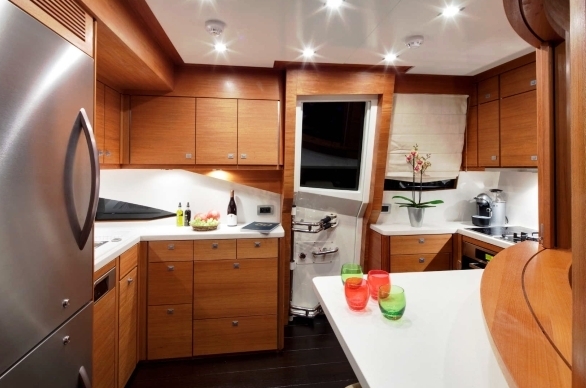 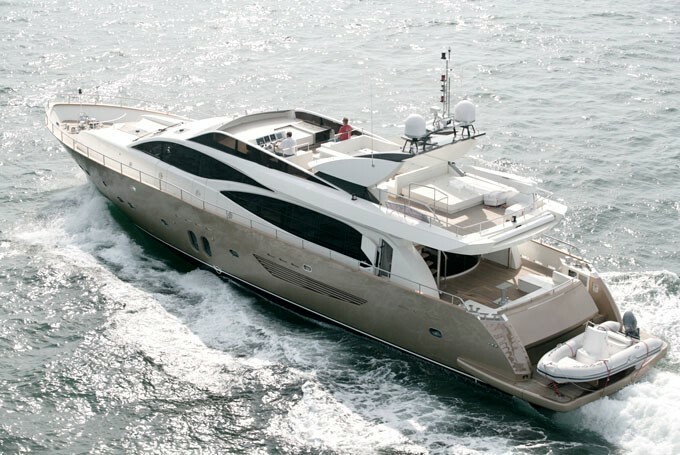 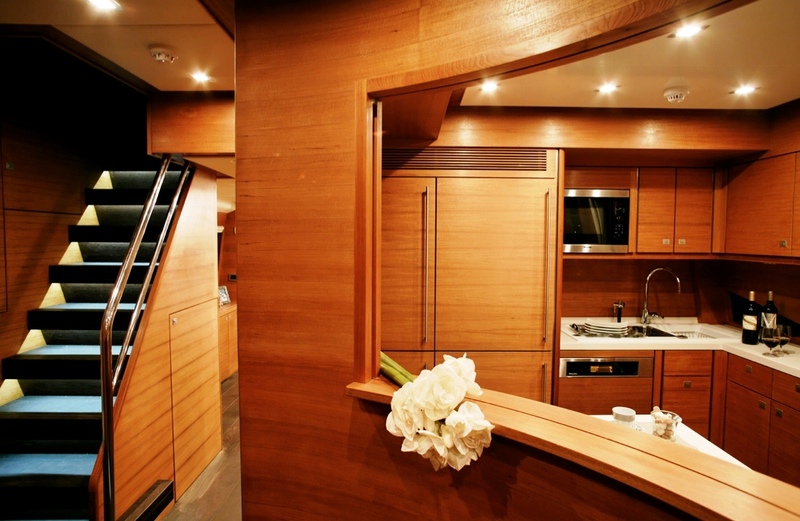 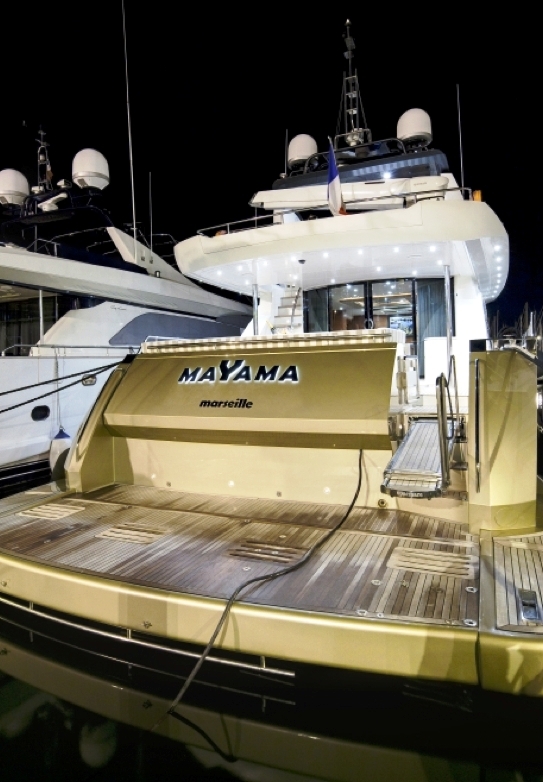 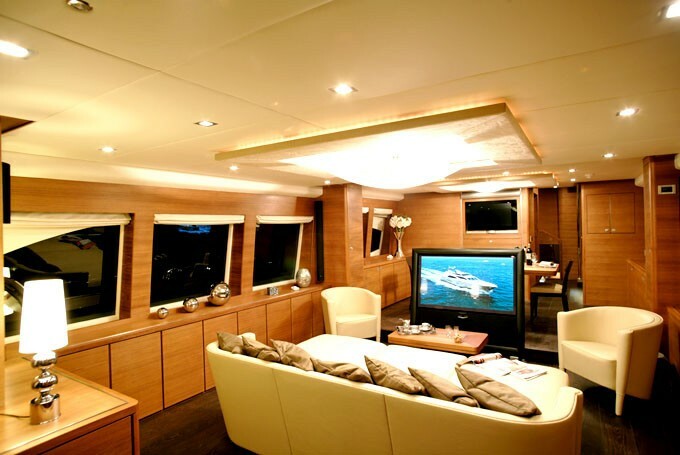 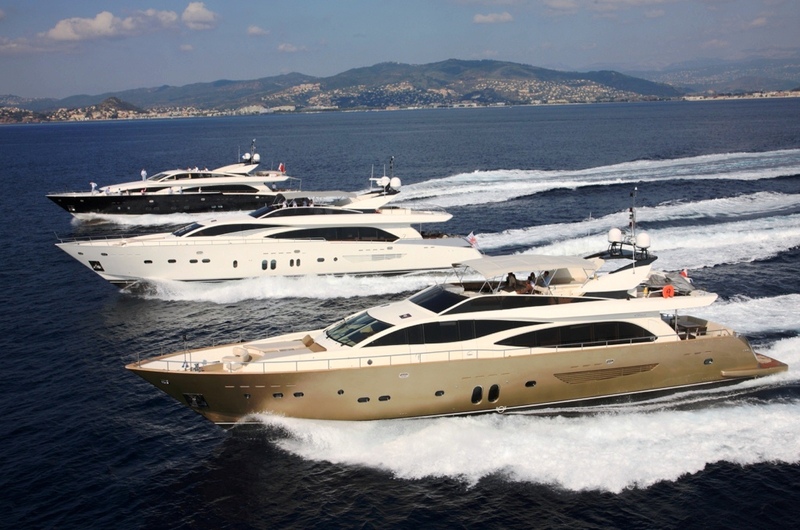 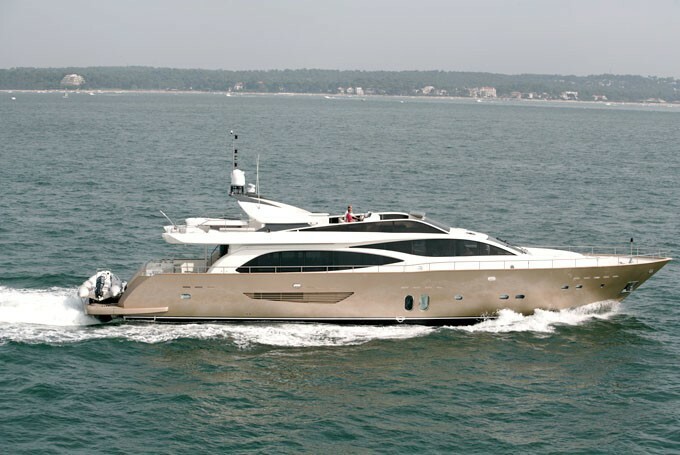 Motor yacht MAYAMA can sleep 8-10 guests in a Master, a VIP cabin and 2 double cabins. 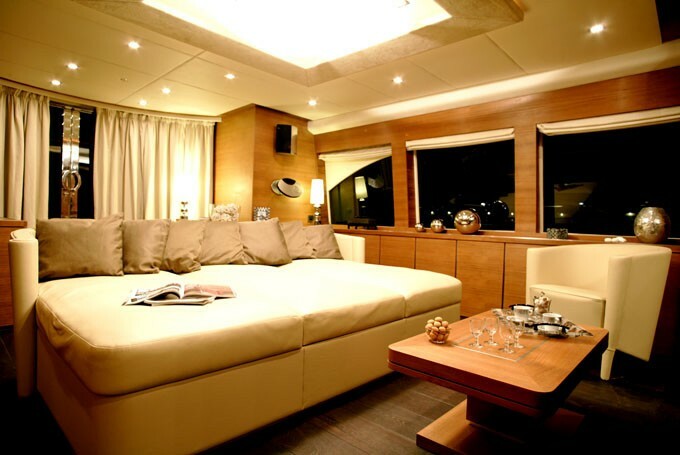 She can possibly sleep two additional children on request. 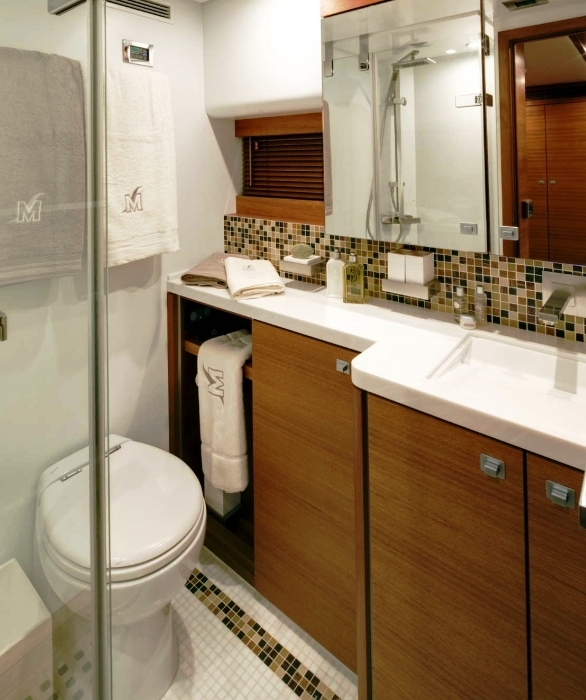 The double cabins on the starboard and port side are equipped with a pullman bed.